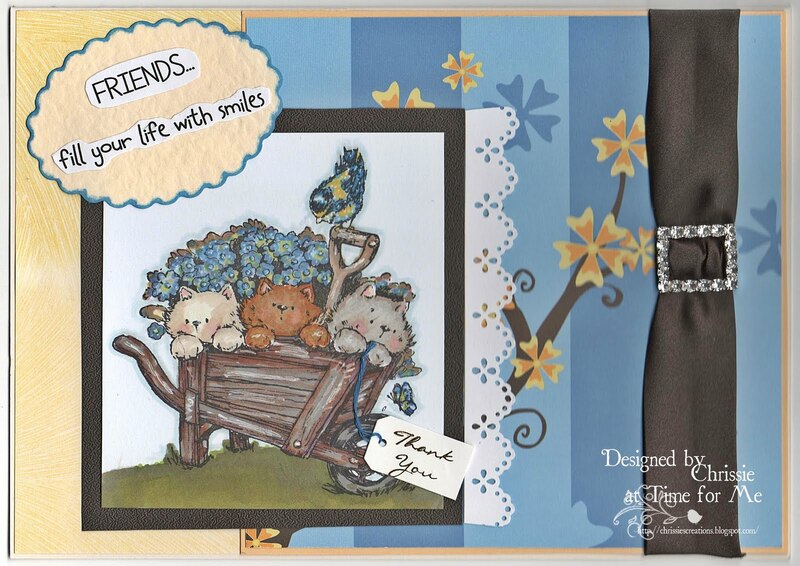 Hi everyone, I'm back with my latest DT card for Sketch N Stash and this fortnight we're offering a 'free choice' sketch. I went for Sketch 55 for my card, I thought the layout would be just right as I decided to make a C5 sized card for a change. 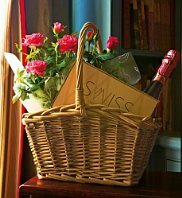 This was a 'Thank You' card for a very special friend who recently sent me the most gorgeous 'New Home' gift, this wicker basket filled with a box of belgian choccies, a bottle of rose wine and a stunning miniature rose plant. If you're reading this Sheila, you already know how important you are to me sweetie and how grateful I am to be able to call you my friend. This fortnight's prize is from our wonderful regular sponsor Simon Says Stamp and they are offering our lucky winner a $15 voucher to be spent in their store so I hope you'll manage to join in with us. If you're in need of any inspiration just pop over to the Challenge blog where the DT have come up with the most amazing creations again and while you're there see if you were lucky enough to have won or been nominated as one of our Top 3 from the last challenge. Gorgeous card Chrissie. I hope you are settling in. An adorable card Chrissie and a fabulous welcome to your home gift. Crossing fingers very tightly along with everything else. Our home sale is back on but I will not be happy until we have exchanged contracts in case he changes his mind. Beautiful card, Chrissie, and I really like how it seems to reflect the gift itself! I'm so glad you are getting settled in and back to crafting. I wish my life would settle down a bit! Big hugs! Hi Chrissie what a gorgeous card love the design and papers, that image is so cute I love it. What a wonderful friend you have to give you such a gorgeous gift that doesn't happen very often these days does it. Chrissie this is fabulous and I LOVE that sketch , you aced it sweetie! Hope you had a wonderful weekend! Hi Chrissie your card is even more gorgeous in real life. It was aspecial gift to a special friend....and I thought the basket would come in handy to store a few crafty bits in!Lol! Will be in touch soon as the date for DD has been changed to mid October now!